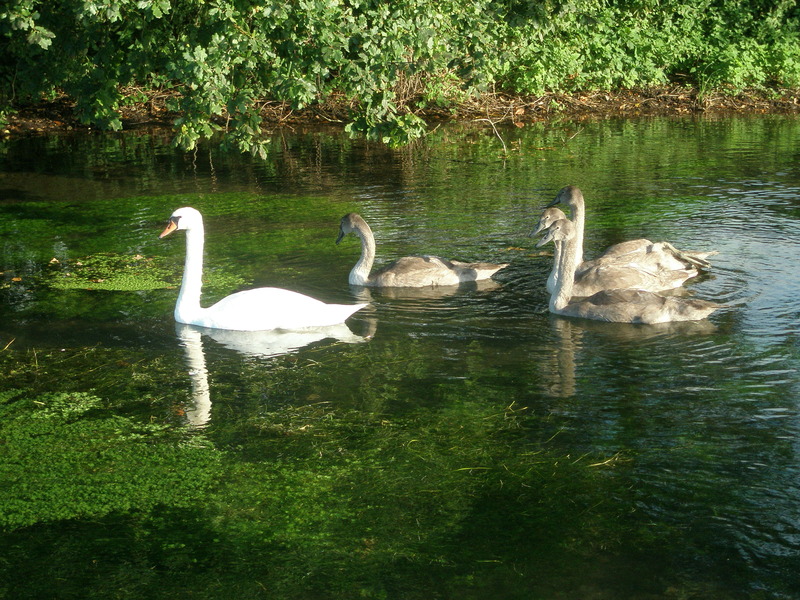 A very special place, Freeman’s Marsh covers 90 acres of wildlife habitat that straddles the Rivers Dun and Kennet, and the Avon Canal to the west of Hungerford. The marsh is home to a wide variety of wild birds, plants and animals – some of which are rare in southern England. It is also a place enjoyed by many people who live in Hungerford, and by visitors from further afield. However, some of the wildlife species associated with the Marsh, such as water voles and ground-nesting birds, have declined over recent years. Your help is needed now to ensure that you and your children are able to enjoy the wildlife of this special place far into the future. Since 2009 the British Trust of Ornithology has trained bird ringers and other assistants, have carried out surveys, ringing and recording the populations of wild birds in meadows and fields around Hungerford. More than 100 species of both resident and migrating birds have been identified, extraordinary numbers for such a small area of countryside. Monitoring of birds occurs annually, and will be extended to include practical demonstrations to be held in Freeman’s Marsh each month from May to August, when the ringers will set up their recording centre at the western end of Freeman’s Marsh, downstream of the foot bridge on the south side of the River Dun. Detailed records show that the species caught and ringed represent 35 of all the species recorded in the surveys and it has been established that many residents are successfully breeding and the migrants are returning each year. This programme of demonstrations of the ringing and recording of the populations of birds is an extension of the conservation work already in hand in Freeman’s Marsh. The protection of this government designated Site of Special Scientific Interest (SSSI) and the Natural England’s Higher Level Stewardship, where educational and guided walks and talks are features to promote the respect and preservation needed for our countryside. 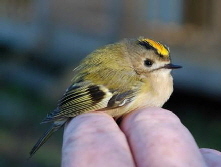 Find out more about Bird Ringing here. Freeman’s Marsh is owned by the Town and Manor of Hungerford. With help from Natural England, the Trustees have developed a plan for restoring wildlife and securing the future of the Marsh for people to enjoy. Since the original public meeting about the conservation plan to protect Freeman’s Marsh took place, the Town and Manor of Hungerford in partnership with the local community in Hungerford, Natural England, and the Environment Agency have been implementing a 10 year plan to safeguard the many wild plants, birds and animals, some of them rare. 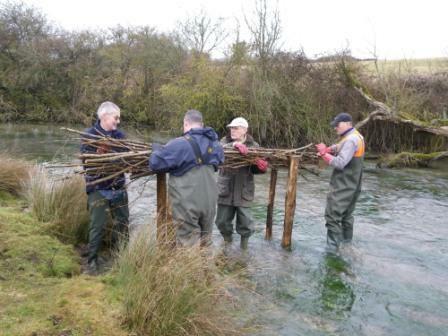 Freeman’s Marsh Conservation Group has been busy on a variety of tasks including hazel coppicing, replanting an ancient hedgerow, removing scrub to allow wildflowers to grow and the narrowing the river to improve the habitat for aquatic life. Bigger changes undertaken by contractors include the fencing to stop cattle from eroding the banks, and to protect the water vole. Surveys undertaken with BBOWT in 2011 reveal that the marsh is still an important home to Britain’s most endangered mammal. Contractors have now undertaken another stretch of hazel coppicing at the far western end. 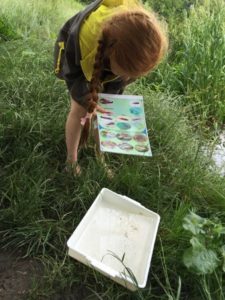 The guided events such as river dipping and bat walks have proved very popular and the next event is a talk on ‘Restoring our local rivers’ by the Environment Agency. See the Public Events on Freeman’s Marsh below. The second phase of the capital works started in 2009. 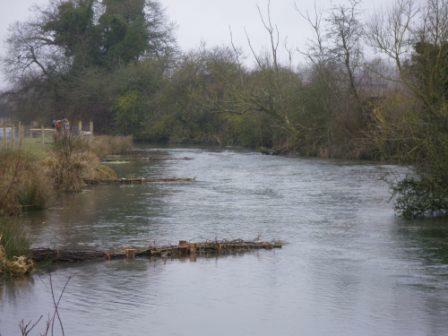 New stock fencing has replaced barbed wire around the Spinney upstream of the Middle Hatches on the River Dun. Also a stretch of stock fencing is now installed from Hopgrass Farm downstream to the Ash Pool. This work has excluded the cattle from the majority of the river and in line with the Environment Agency efforts and regulations to retain the quality of the chalk streams in the Kennet and Dun Valleys. Freeman’s Marsh permanent pasture marshland and bog relies on cattle grazing to maintain the ancient plant and wildlife habitats at the same time poaching and treading of the rivers by cattle has led to serious river bank erosion and silting downstream. This river work will allow the verges to grow up which will stabilise the banks and shelter the water giving a haven for fly life and other aquatic animals that are so essential to the well being of the rivers. The new management policy for the rivers and fishing in Freeman’s Marsh is to add wildlife facility wherever possible. For instance the river bank restoration should add protection for the Water Voles, the protection of the fly life will allow better populations of Brown Trout and Grayling and the installation of bird boxes will encourage more successful fledging of small birds and owls. 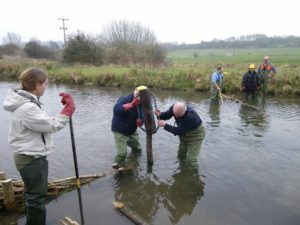 The photographs show the installation of hazel coppice groynes upstream of the Ash Pool on the River Dun. This work is being carried out by enthusiastic supporters of the Conservation Group, under the direction of our Water Keeper, Rob Starr, and Environment Consultant, Sally Wallington. 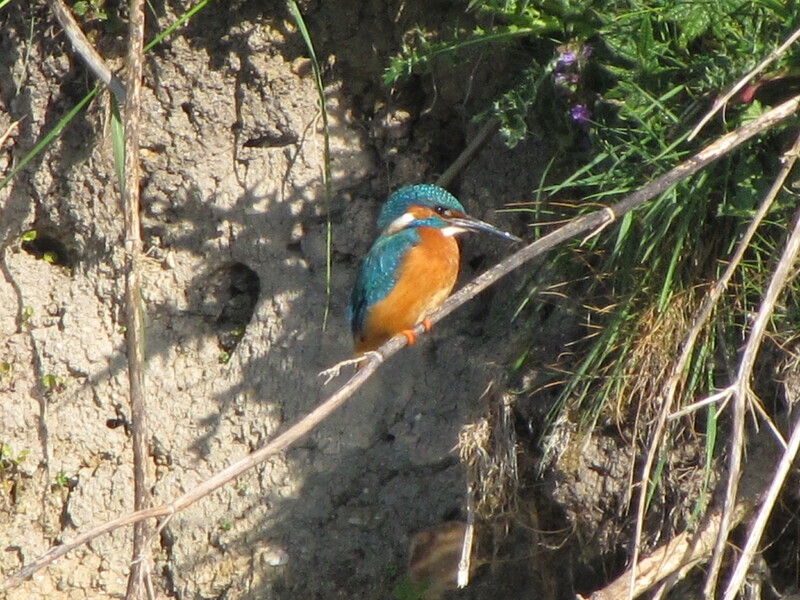 Reports of bird sightings are encouraging, with Green Sandpipers, Water Rail, Snipe, Little Egret, and Kingfisher being spotted within the more secluded areas of the marsh. A Glossy Ibis took up residence for several weeks in December 2010, and a pair of Chinese Swan Geese were befriended by some families of Canada Geese in May 2011. 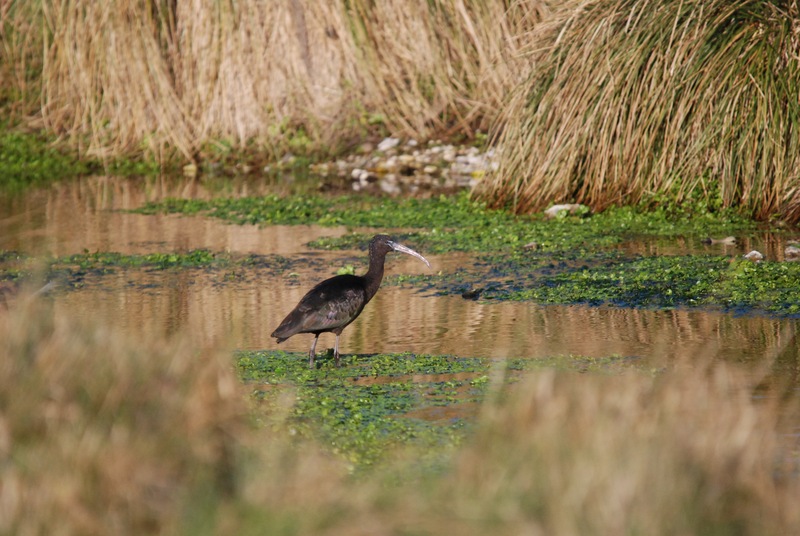 See our short video of the Glossy Ibis below. The Town & Manor works closely with Natural England regarding Commons and Land Management. Click here to find out more. Freeman’s Marsh fulfils the same purpose for the Sanden Fee Commoners as the Common Port Down does for the Commoners of the Town. 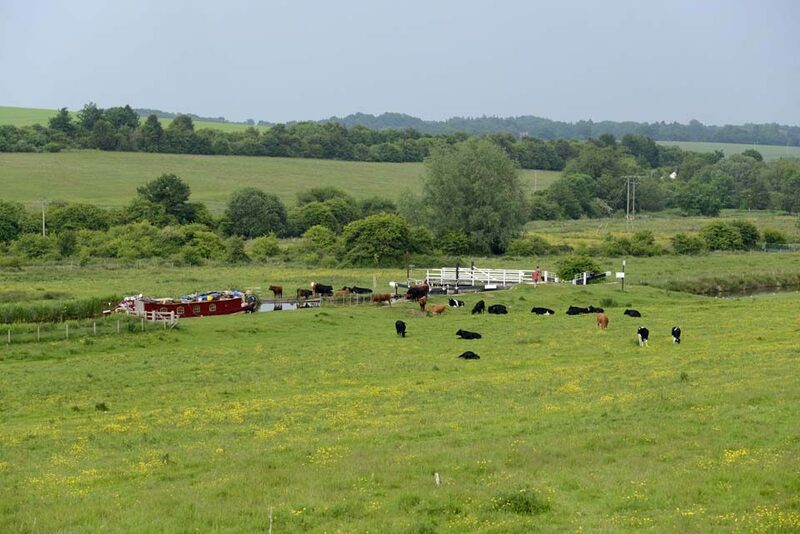 There are about 90 acres of permanent pasture, marsh and bog which is grazed by 30-35 store cattle each year including some typical alkaline with the River Dun and side streams fed from springs all of which form the countryside feature to the west of the town. At the eastern end the Shalbourne Brook joins the River Dun flowing eastwards towards the town through the adjacent meadow known in recent times as Hungerford Marsh. In addition to the rivers the railway and Kennet & Avon Canal traverse Freeman’s Marsh from east to west with little impact upon the scenery and after 200 years both fit into the surroundings. Even the two locks, Marsh Lock and Cobblers Locks, seem essential parts of the area. It is worth sparing a few thoughts of a different scene all those years ago where hundreds of men with horses and carts worked for months on end to cut first the canal and then 60 years later to carve out the railway cutting. Like the Common Port Down over centuries bits of land were acquired which now make up the area as we know it today despite the area lost to accommodate the canal and the railway. The first mention of Freeman’s Marsh was in 1550 and again in 1568 the eleventh year of the reign of Queen Elizabeth I. Then it was reported that “there being 20 acres or thereabouts”. There was a case in the Duchy of Lancaster Court brought by the inhabitants of Hungerford against one Brian Gunter when again there was mention that it was 20 acres of grazing for geldings and nags belonging to Commoners of both Hungerford and Sanden Fee. This is the first indication that the Marsh Commoners were regarded as subservient to the Town Commoners and this has continued to this day. More about that later. By 1803 the Marsh had increased in size to about 45 acres – 23 acres was taken by the canal and 22 acres of feeding land and 33 poles of “water and bogge”. The Enclosure Award in 1819 gave the Commoners of Sanden Fee the arable land of Westbrooks; this is the area south of the canal added a further 21 acres, 2 rods, 24 poles which was to be thrown into Freeman’s Marsh “for the grazing of nags”. In 1974 there was an offer by a neighbouring owner of North Standen Estate, Lord Rootes, to the Trustees of the Town & Manor to purchase 7.25 acres of pasture land in the south west corner of the Marsh. This was a “land-locked” parcel of land owned by the Littlecote Estate for centuries and was not much use to Lord Rootes. A bargain was struck for the abandonment of the land south of the railway known as Pennyquicks and the stream in it, and extinguishment of the Commoners Rights. This the Trustees agreed to after consulting the Commoners and ‘Rootes Meadow’ was added to the Marsh. Although it is without Commoners Rights, the grazing by all cattle is overseen by the Trustees. Returning to Westbrooks, on 1st March 1637 Edmund Sexton, a tanner, from Hungerford assigned in consideration of £5.0.0d a half acre of arable land in the Common Fields of Hungerford called West Brooks to Jeremy Eyrton, fell monger of Hungerford which had previously, on 4th October 1622 been leased to William Atkins of Hungerford, fell monger, for two thousand years, at a rent of one penny per annum. Atkins assigned the lease to William Wayte, a tanner, who died. Sexton married Alice his widow and thus came into the posession of the lease. Westbrooks today is the land which stretches south of the canal and westwards from the Marsh Lane Gate on to Freeman’s Marsh. The River Dun forms parts of the Hungerford Fishery, and the Commoners of Hungerford have the right to fish the water, but the Commoners of Sanden Fee do not have the right to fish the Kennet. This is much the same as already mentioned in respect of the grazing nags by the Town Commoners. History explains to us the reason for these less than equal rights. In mediaeval times the Sanden Fee Commoners got into financial difficulties and were bailed out by the stronger Town Commoners and therefore were obliged to give up some of their historical rights. This remains the situation today. Freeman’s Marsh as it is today has become one of the rare and unique pieces of southern England combining chalk streams and alkaline marsh land. Over the centuries the Trustees and Commoners have made little attempt to interfere with the natural plain and water courses and there has never been any cultivation within the area. There has been management that is essential to control injurious weeds and river work to maintain the water courses, and the benefit of doubtful management and husbandry has been the legacy of unimproved Marsh and Pasture Land. Over many years there has been some government support of the Trustees’ management inactivity, as in 1970 the land was declared an ‘Area of Natural Beauty’. In 1990 English Nature offered the Trustees a contract to grant annual maintenance costs under the limitations of an agreement known as a ‘Site of Special Scientific Interest’. This was a great help to the Trustees as some of the costs of maintenance could now be set against regular annual income. This new annual grant has now been over taken with the introduction by Natural England of the Higher Stewardship Scheme whereby an agreed long term management plan was put in place with a high emphasis being placed on the protection of the natural environment and its biodiversity. The Trustees signed up to this with a contract for 10 years commencing in May 2008 and in co-operation with the objectives set out by Natural England. To launch the programme and plans to the Townsfolk a public meeting was held on 22nd January 2009, which was attended by 220 interested people. The Trustees obtained unequivocal support that day and work began at once to press on with the Environmental Plans of renovation of the land and streams together with the promotion of care and consideration to those who visit the Marsh. The first stage of the capital work was completed in March this year and group work and guided tours continue to feature during the year for all comers. Subjects of the tours are the inhabitants of the Marsh that will cover the birds, plants, animals and river life. Now watch this space for further information as time goes by! If you’ve ever wanted to find out more about conservation, or fancy helping out, then we need you! 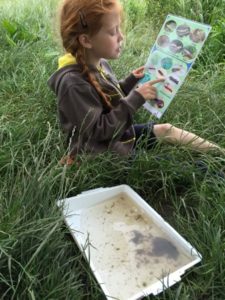 Freeman‘s Marsh Conservation Group aims to raise awareness of the value of the marsh, and enable local people to get involved in helping to look after and manage this environmentally precious area. All hands on deck! We’ve plenty of opportunities to protect and enhance Freeman’s Marsh, by helping with one of our many conservation projects. Whether it’s just for the day, or several days/weekends, you’ll have fun, learn new skills and meet new people, all while helping to make a real difference to the Marsh.